It's time to put an end to your worries about bathing – there is a practical and affordable solution for you and that's Easy2Bathe. 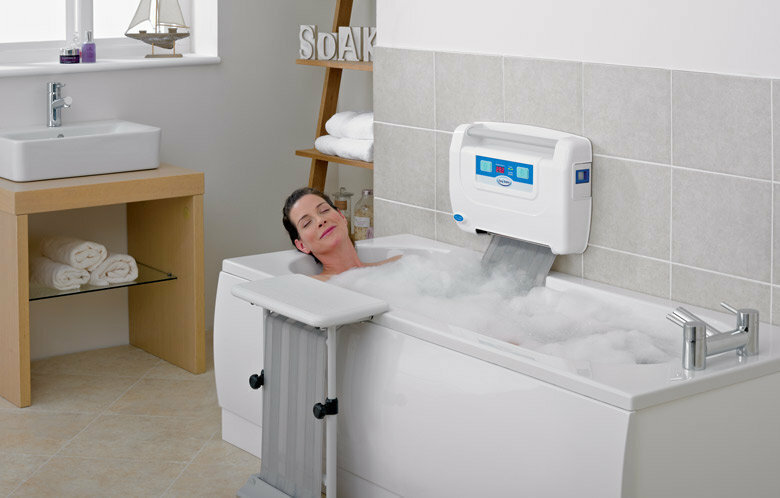 Our innovative, quality-built, bath lift allows you to bathe when you want or need to. Easy2Bathe is installed in around an hour, leaving no mess. It fits to your own bath, which means that you will not need any builders or plumbers in to make drastic changes to your home – saving you thousands of pounds. Take away the worry of slipping or falling at bath time for the elderly or disabled and get your independence back today. From start to finish the people involved were very friendly and professional. The installation 5 star. Everything was completed with a minimum of fuss, all clean and tidy within an hour, everything explained to me by Mr G Paxton, thank you. Having had an Easy2Bathe bath for three years our warranty was up (with no trouble over the three years) We Upgraded and are very pleased with our upgrade. Fitted in just over 15 minutes. Excellent service. The trader installed the bath aid satisfactorily. He demonstrated how it should be used. He completed the job professionally and in good time. He was a pleasant person to deal with. 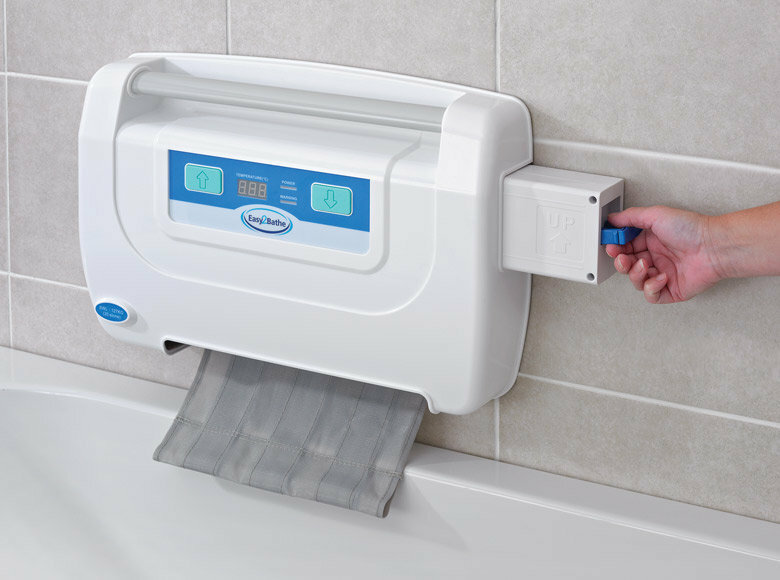 We researched several suppliers of bath aids, and were very impressed by Easy2Bathe because their Head Office communicated promptly and clearly, discussed pricing options, and arranged for the equipment to be fitted within a week of the demonstration visit - 10 days from first contact. The two skilled people who fitted the equipment arrived on time, were very capable, did a thorough job, made no mess, and explained everything we needed to know. All praise to them. The equipment is comfortable, safe and simple to use. Hard to express how wonderful it is to be able to have a fully-immersed bath after 2 years of showers - it has completely transformed life. Fitting excellent, but aftercare lacking in quality. Be sure to read the fine print before signing your agreement! Bath lift fitted quickly and efficiently. Fitter polite and professional, left bathroom clean and tidy. Supply and installation of bath lift from Easy two Bathe. We received an excellent and informative demonstration of the unit in our home. 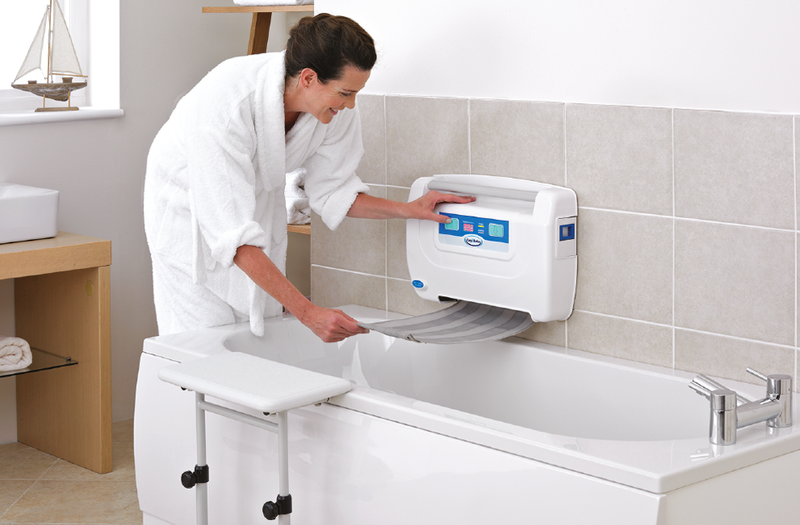 It was installed very quickly operates very well and seems to be the answer to ourbathing problems. We had a very good experience with this trader. Purchased and had installed a bath belt that lowers and afterwards raises the person wishing to have a bath. The original demonstration was comprehensive with a working example. The installer arrived when expected and did the installation quite rapidly with a minimum of mess. Easy2bath bath aid short time to fit and a good clean job was done.